Empire Aviation Group was announced the winner of the ‘Aircraft Management Service Provider of the Year at the 10th annual Aviation Business Awards, held in Dubai, on October 12th. EAG was the winner of the award for the second consecutive year. EAG operates one of the region’s largest managed fleets of business jets, with more than 25 aircraft based in Dubai, Oman, India, Hong Kong and Nigeria. The company, which launched in 2007 in Dubai, has a team of 150 aviation specialists, and has expanded operations across the globe with branches in India, San Marino and Hong Kong, as well as a dedicated sales office in the USA. 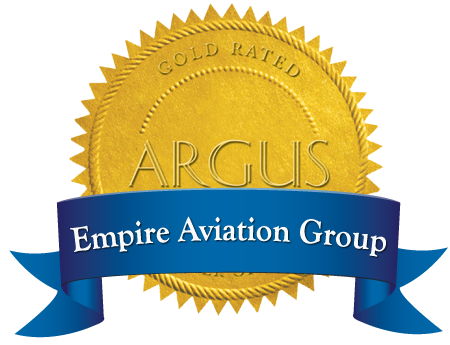 Commenting on the award, Paras Dhamecha, Executive Director, Empire Aviation Group, said: "Empire Aviation Group is delighted to win this prestigious award for the second consecutive year. It is a recognition for the prestigious award for the second consecutive year. It is a recognition for the entire team which is dedicated to supporting aircraft owners with a very highly personalized level of service and a unique asset management approach. EAG continues to expand and develop with new aircraft coming on to our managed fleet across all our global operations and new services being added to enhance the aircraft ownership experience." Organized by ITP Publishing Group, the 10th annual Aviation Business Awards took place in Dubai on Wednesday, October 12th, celebrating winners across 15 categories in a ceremony held at the Conrad Hotel.